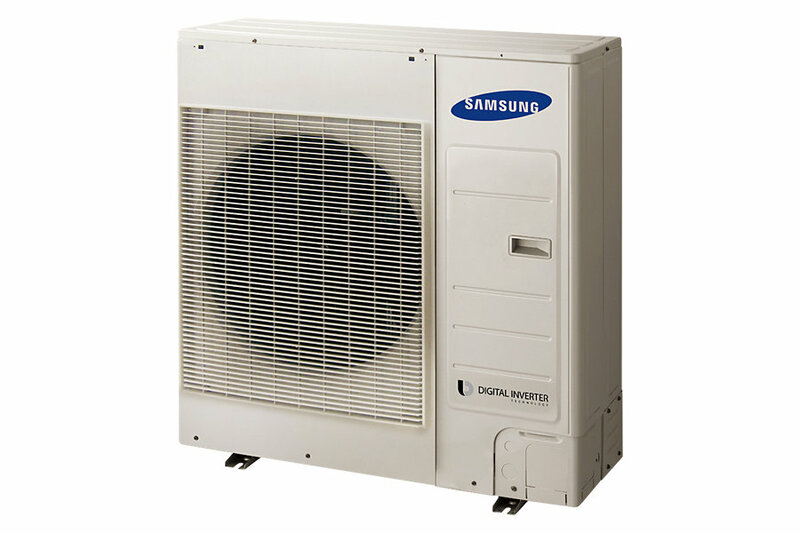 These outdoor units are 40 percent smaller, more compact and lighter than competitors. Installation is quick and easy. Space saving offered by the EHS Mono system will help to improve business efficiency. It has excellent capacity and reliability in low termperatures. Even if the temperature is lowered, the inside will stay warm and give you comfort. 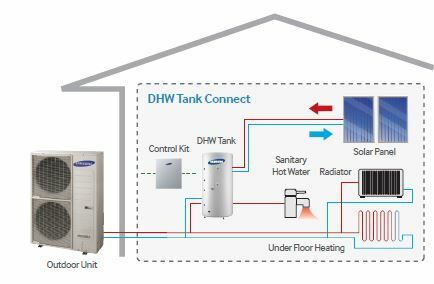 The Samsung Eco Heating System utilises Heat Pump technology to use the heat energy from the ambient air, which is a free and renewable energy source, for low cost heating and hot water production. 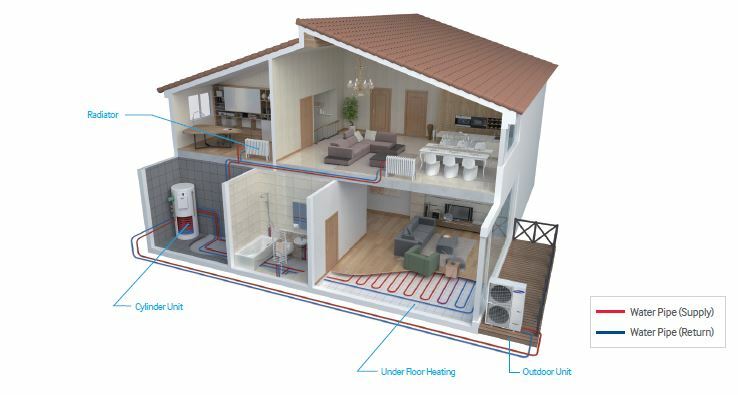 An efficient Heat Pump system provides efficient heating and domestic hot water throughout the year, even in ambient temperatures of -25oC. 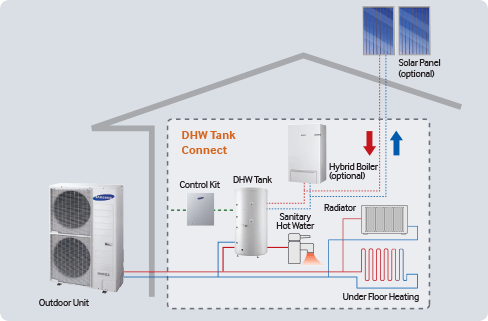 The EHS Mono system utilises an outdoor unit, which combines the refrigerant and water circuits, removing the need for internal installation space. 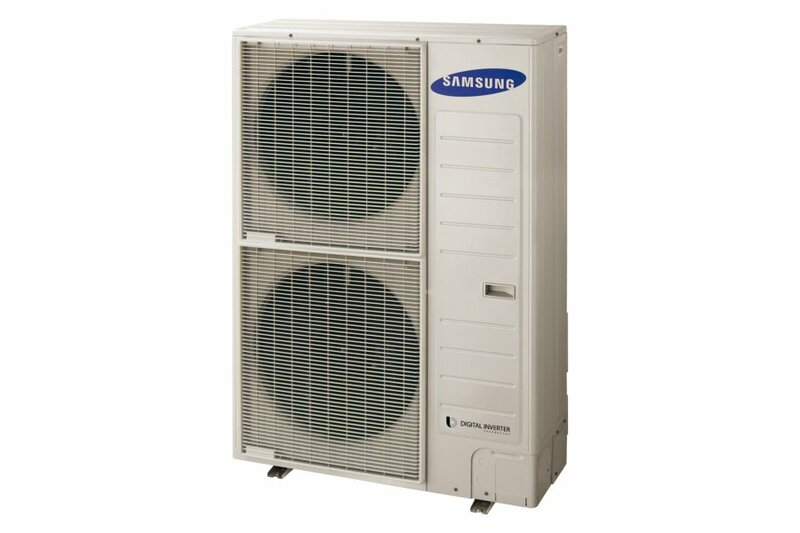 The compact size and low noise level of the outdoor unit provides an unobtrusive solution for domestic applications. 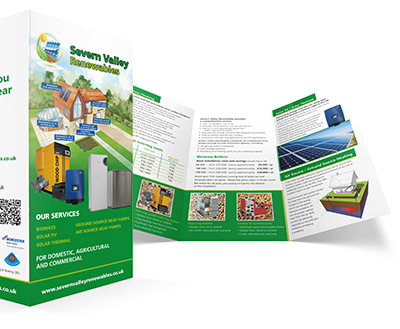 The simple to operate, sophisticated EHS controller is designed to maximise the use of renewable energy for even greater running cost savings, especially when compared to inefficient oil, gas or electric heating systems.